Xenics is a well-established and innovative partner in the aerospace sensing field. 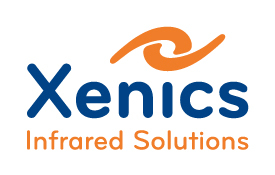 Xenics designs in-house SWIR imaging products for remote sensing and small, versatile camera modules in all infrared wavelengths ranges for increased situational awareness. Xenics is involved in infrared sensors for space applications since its inception in 2000 as a spin-off of imec, the largest independent micro-electronics research institute in Europe. As an independent supplier, Xenics is capable to discuss your sensing needs in an open minded and collaborative way. In 2005-2006, Xenics has worked on a long linear array with 1500 pixels on a 25 μm pitch for the Egyptian experimental remote sensing satellite Egypsat-1. This array was composed of 3 sensors with 512 pixels each, which were optically butted together by means of a stack of 2 beam splitting cubes. This educational satellite was launched in 2007 as a secondary payload on board of a Dnepr launcher. In 2007-2012 Xenics was involved in the development of the Visible, NIR and SWIR linear arrays for the MSI instrument on board of ESAs corner stone mission Earthcare. The main goal of this instrument is to provide information about the horizontal cloud cover, cloud type as well as aerosol optical properties and densities above the ocean. More recently, three of Xenics’ new Xlin-1.7-3000 SWIR InGaAs detectors have been launched aboard the ESA satellite Proba-V to map crop and vegetation patterns across the face of the earth. Further developments are leading us to the challenging design of Focal Plane Arrays (FPA) for the far infrared wavelength range, with 1000 x 1000 pixels. This will open new possibilities for infrared research in space and astronomy. Due to the growing interest from the scientific space community, we will focus in the future on larger line-scan arrays with strongly reduced noise and on FPA’s with more than 1 million pixels. We will continue with research to extend the wavelength range of the infrared detectors into the visible (0.4 micrometer) range and towards 2.5 µm cut-off.